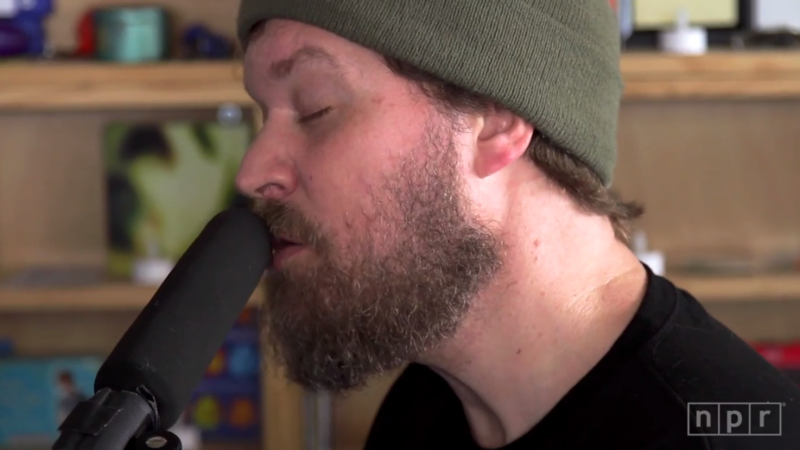 John Grant took to NPR's office in Washington DC to perform three tracks for an NPR Tiny Desk Concert. In 2010, the ex-Czars frontman embarked on a solo career that began with the release of the album Queen Of Denmark, followed with last year's Pale Green Ghosts. Grant stripped his heavily produced tracks down to their bare bones. He performed on piano with only an acoustic guitarist, which unveiled a tenderness that was previously masked in the high quality production of his studio releases. 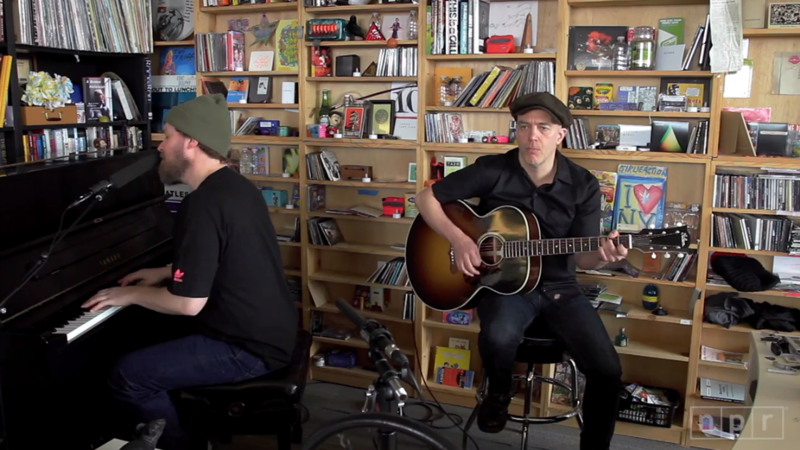 Each album features lyrics that "function as darts of retort and thought," as NPR's Bob Boilen phrased it. They reflect the 45-year-old's struggle with alcohol and drug abuse, as well as his confrontation with his sexuality and being diagnosed HIV-positive. The first track, "Where Dreams Go To Die," is a cut off of his debut album. Grant croons in his heavy baritone voice over simple harmonies on the piano. 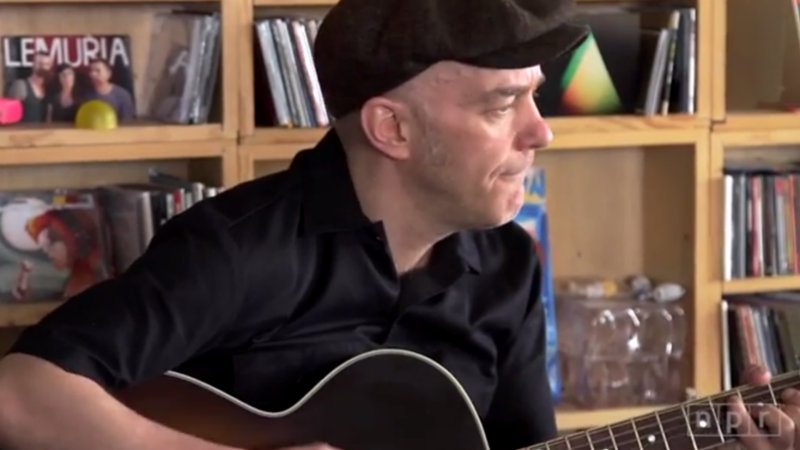 The final hook of the track illustrates Grant's piano chops as he plays the chords while hammering out a descending melodic bass line. On the surface, the song might seem relatively simple, yet when stripped down to its bare elements, the lyrics reveal various layers of concealed complexity. The second track, "Sigourney Weaver," also comes off of Queen Of Denmark. He introduces the track with a brief story of how his family relocated him in his younger years and he attempted to ignore his homosexuality. He concluded the story by acknowledging he achieved a level of self-acceptance later in his life. The track features his unique brand of offbeat humor, referencing various 20th century film heroines such as Winona Ryder, and the inspiration for the title of the track, Sigourney Weaver. The final performance of the three song set, "It Doesn't Matter To Him," is a cut off of last year's Pale Green Ghosts. He introduces the song saying, "It's about the inability to deal with the sudden absence of love, or what one perceived as love." The lyrical depth Grant displays can seem somewhat disproportionate with his relaxed presence and simple wardrobe choices, yet this contributes to the reality of his music and verisimilitude of his experiences with these subjects. You can purchase John Grant's latest album on iTunes and Amazon. For more music and tour related information, head over to his website. 1. "Where Dreams Go To Die"
3. "It Doesn't Matter To Him"